Mary Robinson, former President of Ireland and former UN High Commissioner for Human Rights, today joined First Minister Alex Salmond, to launch Scotland’s Climate Justice Fund and called for other countries to share Scotland’s ambition on climate change – by both reducing their carbon emissions and implementing climate justice. Climate justice is a response to the injustice that the world’s poorest communities, who have done least to cause climate change, are bearing the brunt of its impact, due to increasingly erratic weather patterns and more climate-related disasters such as floods and droughts. The Scottish Government is providing £3 million for the fund – one million per year for the next three years - which will support water projects in Malawi, Rwanda, Tanzania and Zambia – increasing communities’ resilience to the impacts of climate change. At today’s launch, a short film was released highlighting support for climate justice from across Scottish society. It included endorsements from: SCIAF, Stop Climate Chaos Scotland, Oxfam Scotland, Amnesty International, Christian Aid, Cardinal Keith O’Brian, the Moderator of the General Assembly of the Church of Scotland, Glasgow Caledonian University, Scottish Power Renewables, Islamic Relief, the Scottish Human Rights Commission, the STUC, Friends of the Earth Scotland and WWF Scotland. The fund is also supported by the 2020 Climate Group, and the Network of International Development Organisations of Scotland (NIDOS), and has attracted cross-party support from the Scottish Parliament. “The huge injustice of climate change is that it is those who have done the least to cause the problem - the most vulnerable from the world’s poorest communities - who are hardest hit by it. That is why Scotland is committed to supporting climate justice and why we are launching Scotland’s Climate Justice Fund. “In launching this fund we are all too aware that one country cannot win the battle against climate change alone. Collective action is not an option but an imperative, and we need to ensure our actions and our message inspires others to act. “Creating a new narrative based on climate justice, which amplifies the voices of the vulnerable, can inject the necessary urgency and ambition into the international negotiations to reach a new legally binding agreement by 2015. We will know that we have achieved an equitable solution when the human rights of the most vulnerable are upheld and protected. "The 2020 Climate Group warmly welcomes the Scottish Government's climate justice fund. Dealing with climate change is fundamentally a matter of justice. The Climate Justice Fund recognises our moral responsibility to show leadership and support those countries in the global South that are suffering from the impacts of climate change. Scotland already has world leading climate change legislation, this is a great next step towards ensuring that Scotland is a key player in tackling climate change." Mr Salmond also announced that Scotland’s Environment Minister, Stewart Stevenson will attend the United Nation Summit in Rio next month, and will champion climate justice in support of Mary Robinson and developing country governments. Scotland’s involvement has been welcomed by leading environmental organisations. “It is only because of the original Rio conference that we have international action on climate, forests and nature, so Rio+20 is a vital opportunity to see what has been achieved and agree to do more. It is only right for Scotland to have an official seat at Rio+20 because the Scottish Parliament unanimously agreed the strongest climate laws anywhere in the world. I'm sure Stewart Stevenson will use every opportunity at the Rio conference to promote Scotland's world-leading example." The Machrihanish Airbase Community Company (MACC) has purchased the former RAF base. This is the culmination of the largest and most complicated community buyout under current Scottish land reform legislation, which has been completed with support and financial assistance from the Scottish Government, Highlands and Islands Enterprise, Scottish Water and the Ministry of Defence. Environment Minister Stewart Stevenson visited the site today and met with senior members of MACC as well as other members of the board. He was given a tour of the site and heard about future plans. “Land ownership is key to building independent, resilient rural communities and creating a sense of confidence and community empowerment. That’s why the Scottish Government fully support buyouts and are committed to providing opportunities for rural communities to acquire land. “The MACC buyout will benefit both the local community and businesses. Benefits will include improvements to the water, sewage and electrical infrastructure at the site. "Flourishing communities are essential to building sustainable economic growth for Scotland and The Scottish Government has supported the Machrihanish Community throughout the buyout process and will continue to do so. "There is potential now for Machrihanish to reap the benefits of the expansion of the renewables industry in Scotland and build growth in the tourism and leisure sectors and this will benefit Kintyre as a whole. "Highlands and Islands Enterprise will remain on hand to offer their expertise and I know that the local community will grasp every opportunity that comes their way." "It has been a long road but all the hard work has finally paid off. I would like to acknowledge the tremendous support we have had from the community, and the ongoing help, advice and financial support from our partners in Scottish Government, Highlands and Islands Enterprise and Argyll and Bute Council. “I am also personally very grateful for the unstinting support of my fellow Directors who have all given so freely of their time during these protracted negotiations." "We wish to congratulate MACC on the purchase of the air base on behalf of the local community. The base has tremendous potential which will be able to be developed over the coming years through community ownership and management. “The buyout has had strong local support and, following recent multi-million pound investments in tourism and wind tower manufacturing, is another exciting development for the long term future of Kintyre. HIE will continue to work closely with MACC to shape and support their ambitions." The former RAF base at Machrihanish was declared surplus to defence requirements in October 2008. Covering an area of over 1,025 acres on the Kintyre peninsula, it is a key site in phase one of the National Renewable Infrastructure Plan. It is the site of a wind tower manufacturing facility, recently acquired by a joint venture of SSE and March Wind Technology and the site of Highlands and Islands Airport Limited Campbeltown airport. The disposal of the base has been the subject of a long running right to buy process. The deal was concluded on 11 May. The Scottish Government and HIE will continue to work with MACC to ensure the economic development potential of the base is achieved. Scottish Water is currently undertaking detailed exploratory work prior to starting work to connect the properties to the base. It is planning an information day at Machrihanish to give customers the opportunity to discuss what is being planned. The work is expected to be completed by spring 2013. The Minister for Environment and Climate Change today announced an extension to the appointment of Andrew Thin as Chair to the Board of Scottish Natural Heritage (SNH). “I am very pleased that Andrew Thin has agreed to accept an extension to his term of appointment. Andrew has been a very effective chair of the SNH Board. His leadership, strong principles of sound governance and excellent skills in advocacy have proved invaluable over the past six years. SNH is a non-departmental public body (NDPB) which is funded by the Government and Board Members are appointed by Scottish Ministers. SNH is the Government’s advisor on all aspects of nature and landscape across Scotland. SNH’s role is to help everyone understand, value and enjoy Scotland’s nature now and in the future. 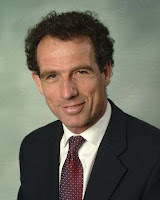 Andrew Thin – Chairman of SNH, having formerly been Convener of the Cairngorms National Park. Andrew has a strong track record in the public and voluntary sectors as Chairman of the John Muir Trust, Member of SNH’s North Areas Board and Member of the Crofters Commission Board. He is also a Member of the Joint Nature Conservation Committee (JNCC) and Director of JNCC Ltd the subsidiary trading company. Andrew has an Honours degree in Agricultural Science and Masters Degree in Business Administration. Mr Thin is also a non-executive director within the core Scottish Government, and is a member of the Scottish Government Audit and Risk Committee. This extension will be for 19 months and will run from 1 August 2012 to 28 February 2014. This extension to the appointment is part-time and attracts a remuneration of £325.22 per day for a time commitment of 12 days per month (144 days per annum). This extension to appointment was made in partial accordance with the Public Appointments Commissioner for Scotland's Revised Code of Practice for Ministerial Appointments to Public Bodies in Scotland. This extension to appointment met the Code requirements with the exception of paragraphs 2 and 3 of the Code relating to succession planning. All extensions to appointments are made on merit and political activity plays no part in the extension process. However, in accordance with the original Nolan recommendations, there is a requirement for appointees’ political activity within the last 5 years (if there is any to be declared) to be made public. No political activity has been declared by Mr Thin. Mr Thin has a second Ministerial Public Appointment as a member of Children’s Hearings Scotland, for which his remuneration is £3,864 per annum. The Scottish Government expects to invite applications later this year for appointment to the SNH Board to fill Board member vacancies arising on 31 July 2012 and 31 March 2013. The appointments will run from 1 April 2013. MSP for Banffshire & Buchan Coast Stewart Stevenson has welcomed the vote by the Scottish Parliament to enact a minimum price for alcohol. Mr Stevenson said that it was time the sale of ultra-cheap forms of alcohol, priced with young people especially in mind, was curtailed in Scotland’s shops. The bill to ban the sale of alcohol at under 50p a unit (a unit being roughly equivalent to a shot of spirits, a small glass of wine, or half a pint of beer) passed at Holyrood. The Labour Party, once again, abstained. “I previously served on the Parliament’s Justice Committee. I remember well a series of visits we undertook to various towns looking at anti-social behaviour. Among them was Lossiemouth and the message which came across loud and clear was that something needed to be done about the availability of cheap alcohol, which was a major factor in making people’s lives a misery through the anti-social behaviour it led to. “Medical professionals and the police also regularly tell me of the pressures on emergency services caused by drunken and abusive behaviour. “This behaviour is not acceptable and Scotland’s relationship with booze has to change. “In Scotland we have some alarmingly high levels of alcoholism, which is incredibly damaging to the drinker themselves, their families, friends and the wider community. Children in households where excessive alcohol consumption occurs are at significant risk. “With this new legislation in place the minimum price per unit of alcohol is to be 50p. That is a significant step forward. “Let’s not forget where we’ve come from in this debate, though. When minimum pricing was first mooted by the SNP, all of the opposition parties in Holyrood opposed it and voted it down. Now, just a couple of years on, we see the Tories and the Liberal Democrats making a complete u-turn and backing the policy. So it is now only the Labour Party that seem isolated in their position of wanting more talk but no action. “The sad reality is that too many of us are drinking too much. The problem affects people in all walks of life. As alcohol has become relatively cheap, alcohol-related hospital admissions have quadrupled, and it is shocking that half of our prisoners now say they were drunk when they committed the offence. It is time for this to stop and I hope that this new piece of legislation will be a step forward to tackling this woeful relationship with drink. Banffshire & Buchan Coast MSP Stewart Stevenson is highlighting the importance of Volunteers’ Week, which takes place from 1st – 7th June. “This is a great opportunity to recognise and celebrate the exceptional contribution that millions of volunteers make across Scotland each year. Stewart Stevenson, the Scottish Government Minister for the Environment and Climate Change got a look at the latest generation of tractors - and a quick demonstration of driving one - when he visited Oatridge. There to launch the College's new Scottish Rural Employers' Forum, as part of Skills Development Scotland's Modern Apprenticeship Week, the Minister could not resist the temptation to climb aboard the massive Case IH 315, thought to be the only one of its kind in Scotland. The massive machine, with six-foot high wheels, is designed primarily for the wheat fields of North America, but has been loaned to Oatridge for students to get a chance to learn about it, before it features at the upcoming Royal Highland Show. Mr Stevenson was most impressed that 21 year old Kevin Sutherland, from Elgin, who is about to complete a National Certificate in Landbased Engineering and begin a Modern Apprenticeship, has learned to drive the tractor. He can also be reassured that in spite of its size, the 315 is one of the most environmentally friendly around. Kevin, who is from a farming family, is to start work with Mark Garrick Engineering in Elgin when his National Certificate course is over. He will travel back to Oatridge on block release during his Modern Apprenticeship. He is no stranger to being away from home, having spent a year in Australia to gain farming experience. "Although I really enjoy farming, I've always been fascinated by messing around with machines", he says. "The Oatridge course has been fantastic and it just made me more determined to become an engineer." Rural employers from all over Scotland attended the new Forum where, after the official launch the main speaker was Danny Logue, the Operations Director at Skills Development Scotland. It is planned to make the Forum an annual event, where businesses across the wide rural industry spectrum can learn about the latest teaching and training available and influence the development of future courses. The event, which was held in partnership with Skills Development Scotland, builds on the successful work of the College's industrial liaison groups, which have and will continue to concentrate on specific sectors like agriculture, horticulture, animal care, countryside management, equestrianism, horticulture and landscaping. "At Oatridge we are fully committed to expanding the range of employers we are working with, because we want to maximise, where possible, the opportunities for young people to benefit from the opportunities available through Skills Development Scotland's Modern Apprenticeship programme. "We want to hear from employers what we can do for them and for their employees, including future employees, while bringing them up to date with what we are already doing and of course, giving them an excellent opportunity to network with other businesses in their own and other sectors." "Many rural employers have quite specific challenges, which make the flexibility of the Modern Apprenticeship programme particularly beneficial. Smaller employers operating on tight margins recognise the advantage of having an apprentice contributing to productivity from day one, while learning the specialisms of their employer." "I was delighted to visit Oatridge College to open the first meeting of the Scottish Rural Employers Forum during Scottish Apprenticeship Week. This week offers a great chance to showcase what Modern Apprenticeships can provide for both employees and employers across the whole of Scotland. "The Scottish Government wants all of Scotland to be a successful country where people want to live and work. Jobs are our top priority and the record-breaking 25,000 Modern Apprenticeships we delivered last year shows the kind of meaningful and lasting opportunities we are providing and will continue to build on. "Apprenticeships can help businesses across all sectors in all areas of Scotland by offering a route to harness fresh new talent. They ensure that business has the practical skills and qualifications needed both now and in the future and the mixture of on and off job training ensures young people learn the skills that work best." Banffshire & Buchan Coast SNP MSP Stewart Stevenson has welcomed the Scottish Government’s consultation on their proposed Victims’ Rights Bill. The proposed Bill aims to introduce new measure to help further protect those affected by crime and to allow further openness and transparency between victims of crime and the Scottish justice system. “The role of the Scottish justice system is to protect the victims of crimes as well as ensuring those who perpetrate crime are held to account for their actions. “The Scottish Government has already made improvements to the way victims of crime and witnesses are treated by the judicial system. Courts can now award higher compensation payments and the Government also continues to support the work of Victim Support Scotland. “The consultation contains a wide range of proposals that aim to further improve the experience of the justice system for victims and witnesses and offer them additional support. It aim to make sure victims, witnesses and their families feel better prepared to give evidence, ensure that they are more informed about any court proceedings and better ensure that victims and witnesses needs remain a priority. Banffshire and Buchan Coast MSP Stewart Stevenson has welcomed the Cornhill Highland Games which takes place on Saturday 2nd June. “I am delighted to raise awareness of the Cornhill Highland Games and hope that many families will be able to support the event which starts at 11.00am and held in the Cornhill Playing Field. “For those attending, they will be able to observe events such as; heavy weights, wrestling and highland dancing. 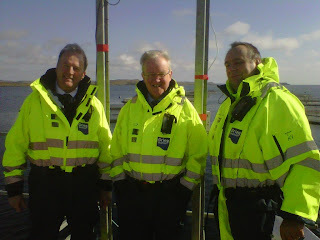 Environment Minister Stewart Stevenson has confirmed that new legislation on aquaculture and freshwater fisheries will be introduced in autumn 2012. Mr Stevenson undertook a series of engagements in Shetland today – the key location for Scotland’s fish and shellfish farming sectors – including a meeting with Shetland Aquaculture to discuss their views on the Scottish Government proposals for the new Aquaculture and Fisheries Bill. The Environment Minister reassured Shetland industry that a thorough analysis of all responses received to the recent consultation on the Bill is currently underway. Further stakeholder engagement will take place during the summer recess, with legislation set to be introduced this autumn. “The Scottish Government is firmly committed to ensuring a viable, long-term future for aquaculture and freshwater fisheries, with effective management of interactions between these two sectors. Both these sectors play an important role in supporting continued economic growth in our rural communities, particularly in Shetland. “That’s why we consulted on proposals for introducing new legislation. The consultation attracted a lot of interest and it’s only right that we take the time to reflect and ensure that the Aquaculture and Fisheries Bill is fit for purpose. “We remain very supportive of the aquaculture industry. The proposals outlined in our consultation back the industry’s aspiration, set in 2009, to increase fish production by 50 per cent and double shellfish production by 2020. “I’m sure all those with an interest in the Bill will welcome our commitment to further stakeholder engagement over the summer, with an intention to introduce the Bill to Parliament in the autumn. “To facilitate further discussion around the consultation proposals and consider how these might be reflected in the final Bill, a series of meetings of the Ministerial Group on Aquaculture will now be organised. This provides an excellent forum to talk through the proposals and reactions in greater detail." Wildlife enthusiasts will be flocking to South Queensferry this weekend for the first annual Scottish Birdfair at Hopetoun House. Organised by RSPB Scotland, the event features expert talks, guided walks, children’s activities and over 80 wildlife related exhibiting stands, ranging from the latest in wildlife technology, to holidays, optics, books and more. Exhibitors from across the UK and as far afield as Texas will be at the fair. With the growing interest in ‘green tourism’, it is hoped the event will attract up to 5000 people, generating new revenue for the region and raising vital funds for Scottish conservation. Environment Minister, Stewart Stevenson, is set to tour the Scottish Birdfair on Sunday, May 20. Banffshire & Buchan Coast MSP Stewart Stevenson has expressed his delight after the hugely popular Portsoy Scottish Traditional Boat Festival won the Best Cultural Event category of VisitScotland’s Scottish Thistle Awards regional finals. The winners of the regional finals will now face off for the national awards event which will be held in November. “The Traditional Boat Festival has been going from strength to strength in recent years and winning this award is the perfect recognition of that fact. Like so many other residents of Banffshire & Buchan Coast, attending the festival has become something I look forward to immensely. “Scooping this award is testament to the hard work and dedication that the team behind the festival put in to the event and I offer them my warm congratulations on their success. I’m sure it will put a spring in everybody’s step as this year’s festival draws closer. The challenges of meeting Scotland's aggressive carbon reduction targets were highlighted at the launch of the newly formed Association of Carbon Professionals in Edinburgh yesterday evening at the Lothian Chambers just off the Royal Mile. Around 100 business leaders, carbon professionals, investors, academics and students joined Mr Stevenson and the ACP Board to celebrate the launch and mark the beginning of an exciting new professional association supporting the transition to a low carbon economy. The ACP has been set up by a group of professionals working in carbon management and carbon finance to fill a much-needed platform for discussion, training and sharing of experiences. The British Council, the Edinburgh Centre for Carbon Innovation (ECCI), Carbon Masters and Edinburgh University is supporting it. Environment Minister Stewart Stevenson presented the first accreditation awards in Scotland to Edinburgh Napier University and Edinburgh Airport, two organisations that have achieved stiff carbon reduction targets. The launch event follows the ACP Annual Conference 2012 which brought together a wide range of professionals working to reduce carbon emissions; from carbon and energy managers, traders, investors, offset providers, legal experts and accountants, through to consultants, policy makers and academic researchers. Among the issues addressed were mandatory carbon reporting and labelling for products, carbon footprinting, and the implementation of the Green Deal for businesses and homes. Speakers hailed from organisations ranging from Scottish Power, DECC, Scottish Government, Carbon Masters, Edinburgh Centre for Carbon Innovation and the Carbon Trust. The event took place over this weekend 11th-13th May 2012 at the Westerwood Hotel in Cumbernauld near Glasgow. Scottish Bakers are pleased to say it was a great success with 200 delegates at Friday dinner, Saturday conference and 300 guests at Saturday Presidential Installation & Dinner and the first ever Scottish Baker of the Year Awards!! Stewart Stevenson, MSP the Minister for Environment and Climate Change who talked about supporting the bakery sector in Scotland and passing on the love of good food to the next generation. Ken McMeikan, Chief Executive of Greggs Plc tackled the thorny issue of combatting the rise of the supermarket and offered high street bakers hope for the future and ideas for creative thinking to widen the services high street bakers offer their loyal customers. Ken joined Greggs PLC in 2008 as Chief Executive after a long and distinguished retail career with the Sears Group, Tesco and Sainsbury which included a spell as CEO of Tesco in Japan. Under Ken’s leadership, Greggs has delivered record underlying profits in 2010 and 2011, and is on track to deliver ambitious growth plans to open another 600+ shops in the UK, creating around 6,000 new retail jobs. Ken is HRH Prince of Wales’ Ambassador for the North East, as a result of his commitment to socially responsible business practice and work in local communities. He is also the Regional Chairman of the CBI North East. Paul Hollywood spoke about how to capitalise on the increased interest in home and commercial baking by delivering the products customers want to a consistently high standard. Paul is well known as a judge alongside Mary Berry on BBC’s Great British Bake Off. The son of a baker with a chain of shops on the East Coast of England, he has worked as head baker at some of the UK’s most exclusive hotels including Cliveden, Chester Grosvenor and The Dorchester. He went on to establish the Paul Hollywood Artisan Bread Company and now supplies Harrods, amongst others, with his own branded bread. In 2005, he authored a best-selling book ‘100 Great Breads’ which has been published in ten countries and seven languages, and was voted ‘top bread and pastry book’ by the Gourmand Academy. His second book ‘How to Bake’ will be published by Bloomsbury in May 2012. "Scotland has an impressive reputation world-wide as a land of food and drink. The bakery sector continues to contribute to that. It is now incumbent on us all to energise the next generation and show how baking is central to people's lives." "Small and medium sized bakers have a choice, to let the supermarkets corner the convenience market or fight back by continuing to offer customers a unique and quality experience. We need to think creatively and explore new opportunities to meet customer needs and delight them with every visit." "I am and will always be a baker and I believe in the contribution bakers make to people's lives. I will always promote the high street baker as I believe the quality of baked goods more than justifies stopping into a local baker, I want to see queues out of the doors again. And to see the industry in Scotland come together in one place with a view to delivering even better quality and creativity is really heartening." "We are delighted with the number of new faces we saw in the room over the last three days and committed to our members and bakers in Scotland to promote their work and continuously support the bakery trade. Supporting our Craft is what Scottish Bakers has been and will continue doing in the future. We are confident that the first ever Scottish Baker of the Year Awards that Paul compered on Saturday will help raising the profile of craft bakers in Scotland". 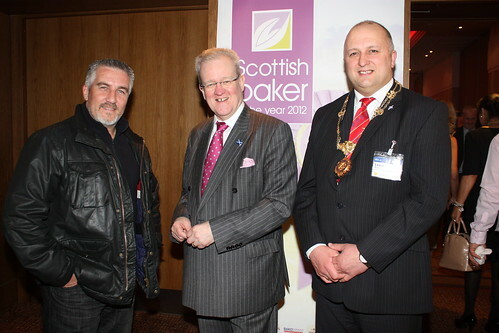 Scottish Bakers has represented and promoted the interests of the bakery trade in Scotland since 1891. The Association believes that it is an integral part of each members business operation. As such it can be called upon to provide a valuable source of advice. Banffshire & Buchan Coast MSP Stewart Stevenson is highlighting the importance of National Epilepsy Week, which takes places from 20th-26th May. "I am pleased to highlight the importance of this initiative week which has a theme of 'achievement' to coincide with the 2012 Olympics. "Epilepsy can be a challenging condition, leaving sufferers unsure of when their next seizure will strike. It touches the lives of many so it's important that people are aware of Epilepsy Scotland and the help that they can provide. "I trust that this initiative will enable people to have a greater understanding of epilepsy and encourage sufferers to seek available support. "For those seeking further information, please visit: http://www.epilepsyscotland.org.uk/." The increasing appetite for ‘grow your own’ was served up a cash boost today by Environment Minister Stewart Stevenson. £450,000 of the funding has been allocated to the Central Scotland Green Network Development Fund and will be distributed to community growing projects over three years. The remaining £177,500 has been allocated to organisations to support the growth of the community growing. Mr. Stevenson also launched a new website this morning - http://www.growyourownscotland.info/. Developed by the Federation of City Farms and Gardens, the site brings together all the organisations and grow your own resources that are available for people in Scotland. Helen Pank from the Federation of City Farms and Gardens. “We are absolutely delighted that the Scottish Government has awarded the FCFCG funding to continue our work. We support new and emerging community growing projects across Scotland, helping them become more effective, efficient and sustainable, and we make sure the benefits of community growing, to the environment, community cohesion, people’s health and the local economy, are better understood and publicised. Environment Minister Stewart Stevenson today welcomed confirmation that movement restrictions for infectious salmon anaemia (ISA) on fish farms in the south west Shetland mainland area are to be revoked. ISA is a serious listed disease and the restrictions had been in place since 2009. ‘This is clearly good news for the reputation of the Scottish aquaculture industry and is a healthy reflection of close cooperation between the Scottish salmon aquaculture industry and Marine Scotland following the outbreak of ISA in 2009. “Scotland is now recognised as being free of ISA. This makes a significant contribution to the sustainability of the Scottish salmon aquaculture industry and helps maintain the high health status of Scotland's farmed fish. "It is very good news that the two year surveillance is now over and Shetland resumes its full health status. The Scottish Government's pragmatic approach to handling the issue and working with the industry has been an excellent example of timely, efficient collaboration." A global green energy competition with a £400,000 prize will be launched in Scotland's capital today. Sir Richard Branson is supporting the Postcode Lottery Green Challenge which aims to reduce greenhouse gas emissions through sustainable business ideas and inventions. The winner will receive £400,000 to develop and create their product within two years and Sir Richard is calling on all entrepreneurs to enter the online competition. "The UK has long been a nation of inventors, creating ideas that last a lifetime. The Postcode Lottery Green Challenge is about using that innovation to make a real difference to climate change and we are calling on all British entrepreneurs to enter the competition. "A great British idea could be the next thing to shake up the way we do business and help tackle climate change. "We want as many UK entrepreneurs to enter as possible - the Postcode Lottery Green Challenge is about showcasing sustainable invention and ideas, sharing expertise and knowledge." Dean Gregory won the competition in 2009 for his RidgeBlade MicroGeneration design, a rooftop turbine which harnesses wind power to produce renewable electricity for homes. "The moment of inspiration came from frustration at the current formats available for micro-turbines and we wanted to develop a product that could be used almost anywhere without attracting planning objections. "To have reached the finals and receive feedback and encouragement from a panel that included Niklas Zennstrom, founder of Skype, was fantastic. "To go on to win the top prize has given us the freedom to spend time refining and developing the product and we are now at the stage where we are ready to bring the product to market." Entrants can submit business plans online for products or services which are able to directly reduce CO2 emissions. The Scottish Government is supporting the project, which is now in its sixth year, as it continues towards meeting its own green energy targets. "The achievements of previous competition winners illustrate what an incredible impact seemingly simple ideas can have. "With a strong history of invention and innovation in our country, I'm sure we'll see more entries from Scotland in this year's challenge - and perhaps even a Scottish winner." A panel of business leaders will select the finalists to present their ideas at an international conference in Amsterdam in September. Entrepreneurs can download an application form at http://www.greenchallenge.info/. "Scotland has an amazing history of inventing things, and this is a great opportunity to showcase our creative talents to come up with new solutions to help tackle climate change. "In the week that WWF published its health check on the planet, its biennial Living Planet Report, it is clear we need to act urgently to slow down our plundering of the earth's natural resources. "We hope the Postcode Lottery's Green Challenge inspires people throughout Scotland to come up with the ideas that will contribute to saving our wonderful planet." Helping to make Scotland’s forests better able to meet the business and environmental challenges of the future is the aim behind a new Forestry Commission Scotland publication, ‘Achieving diversity in Scotland’s forest landscapes’. Aimed at the owners and managers of conifer woodlands, the Practice Guide offers advice, ideas and case studies that relate to the decisions which managers need to make when they are preparing a Forest Plan. The advice is also intended to be useful to those developing their plans for new forests and woodlands. “Most of Scotland’s woodlands are 20th century conifer forests. They were planted primarily for commercial benefits and with little thought to their impact on local landscapes or their contribution to biodiversity. “These forests are reaching maturity and are being felled and replanted – and this provides a perfect opportunity to restructure them. With careful design and planning these forests can be made more resilient to climate change and other associated risks whilst becoming more diverse habitats and enhancing the local landscape. “Such restructured forests would continue to provide the nation with quality timber and other wood products – but by incorporating other tree species suited to the site they could also present new business – and recreation - opportunities." The new UK Forestry Standard and suite of Guidelines promote the benefits of diversity throughout all aspects of the forest environment. Drawn up with input from landscape architects, forest ecologists and professional foresters, the guidance addresses the challenges facing forest managers in achieving the requirements of the UKFS and offers integrated management options for delivering diversity in a range of situations. For example, climate change is likely to mean changed site conditions in some areas – and this will impact on the growth of some tree species. Selecting alternative species that are better suited to the projected conditions – and adopting appropriate silvicultural systems – could create different economic opportunities. Achieving this is one of the key challenges for sustainable forest management. “Despite all the challenges facing forest managers in the future, developing a thorough and well thought out Forest Plan offers the best opportunity for establishing and sustaining a diverse forest that is resilient to climate change whilst also delivering biodiversity, landscape, operational and other benefits. The guidance comes in two parts. Part 1 offers practical advice and ideas – illustrated with case studies – on making the best use of diversity in forest management while preparing a Forest Plan. Part 2 offers illustrated examples of how the advice might come together in four different forest landscapes. "The Changing Oceans Expedition will help us understand how these ancient ecosystems function which is vital information for a sound scientific basis for their future conservation. "It's less than ten years since the discovery of the Mingulay coral reefs by a team also led by Professor Roberts. Since then understanding of this marine ecosystem has developed considerably. "For Scotland's coral reefs the key questions are: will these changes in sea water chemistry make it impossible for the corals to grow, or can they somehow adapt to changing conditions and survive? "Over the past 100 years, human activities including the burning of oil, coal and gas have increased carbon dioxide levels in the atmosphere, causing the oceans to become warmer and lower in pH. For cold-water corals, these changes mean that they may start to grow slower, need more food to survive, and may not even be able to grow in some areas. There may also be changes in how much food is available, as the whole marine food web is likely to be altered, unpredictably, in a future, warmer, lower pH ocean. 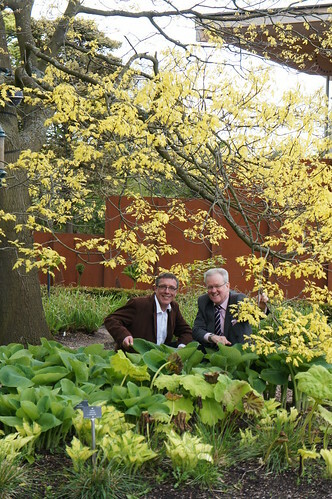 Banffshire & Buchan Coast MSP Stewart Stevenson is highlighting Green Office Week, which takes place between 14th – 18th May. “When it comes to ‘going green’ even the smallest of actions can have a massive impact. “At our places of work we should all consider and encourage the three R’s: reduce, reuse and recycle. In addition, we should also take steps to reduce energy consumption by making sure that lights and electrical equipment are turned off when not in use. Figures provided by the Scottish Parliament's Information Centre have revealed that the number of of unemployed claimants in the Peterhead travel to work area has dropped since the election of Alex Salmond as the SNP member for Banff & Buchan 25 years ago. In February 1987 there were 1,840 claimants while February this year saw less than a third of that number, 566, now claiming due to unemployment. “Over the years, Peterhead has risen to the challenge of changing times. Many new and expanded businesses, in the oil industry, food production and increasingly in renewables have more than filled the gaps caused by the closure of older traditional employers. “While a single person unemployed and able to work is one too many, we have seen a very steady rise in employment in the area. Indeed many employers are now much concerned about recruiting suitable staff. “The Scottish Government has faced hard decisions with a Tory/Liberal Democrat administration at Westminster dramatically cutting funding for Scotland. “Nonetheless we have maintained capital spending through, for example, the creation of the Scottish Futures Trust. This has been key to reducing the effects of the Tory cuts.